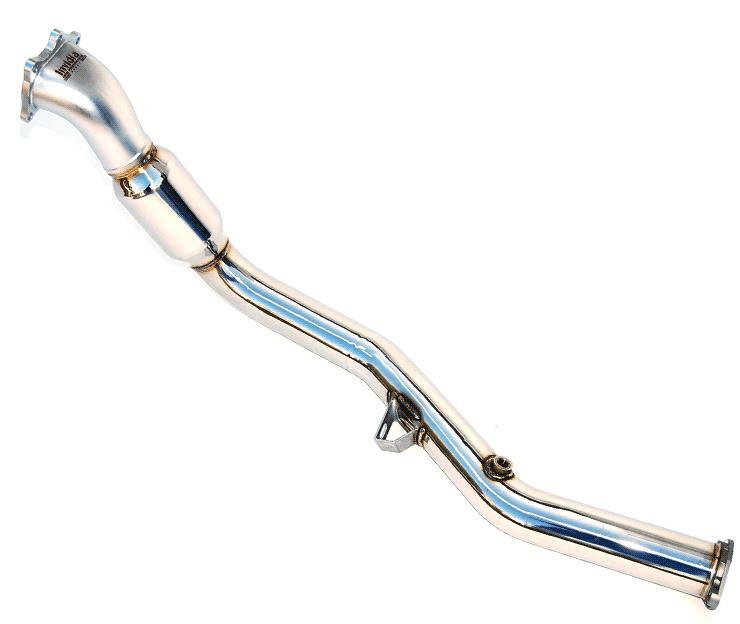 For a strong boost in power, the Invidia Down Pipe offers an alternative to other power-boosting enhancements. To see just how much power the Invidia Downpipe can produce, a quick look at its dyno chart shows it easily added several horsepower to the stock exhaust system. Each Invidia Downpipe features a large 4” Stainless Steel bellmouth to enhance power by freeing excess gas. The Invidia Downpipe sports a one-piece design, eliminating the need for the stock catalytic converter. In addition, each Invidia Downpipe can be bolted up to any Invidia Exhaust or a stock exhaust for an easy installation.